For those of you just tuning in, I'm Melissa Jill -- Align's Owner -- but I also run a wedding photography business based out of Phoenix, Arizona. I've been serving couples for 15+ years and I am SO passionate about albums! Every couple should have one! And I do my best to make sure every bride and groom leaves their experience with me with one in hand. I've spoken at national conferences and through online webinars about what has worked for me when it comes to album sales and workflow, and a couple years ago I started to organize all of my thoughts on this topic into an album series here on Align's blog. Turns out I have a lot of thoughts -- haha! Below is a list of the full series with links to each post for your reference. If you're new to albums, I'd suggest working through this blog series in order. I hope I can answer all your burning questions! ALSO, you might be interested in the Album Start-Up Kit I created to help photographers jump into the world of albums. Check it out here! If you have been selling albums for awhile, perhaps you just have an issue or two you'd like help in overcoming. My hope is that you will find something here to help save you time, maximize your profit, and take your business to the next level! Read about my early experiences with album sales and workflow, the initial obstacles I ran into, and how I persevered to refine my album approach to earn our studio $25,000 in album sales last year! If you find it difficult to sell albums to your clients, then this post is for you! Learn practical tips for naturally moving clients to the point where they are happy spending additional money in order to include an album in their package. 3 - So You Want to Raise Your Prices? Are you wanting to reach a more high-end bride within your local market? Find out why doing albums RIGHT is key to reaching the clients you covet! 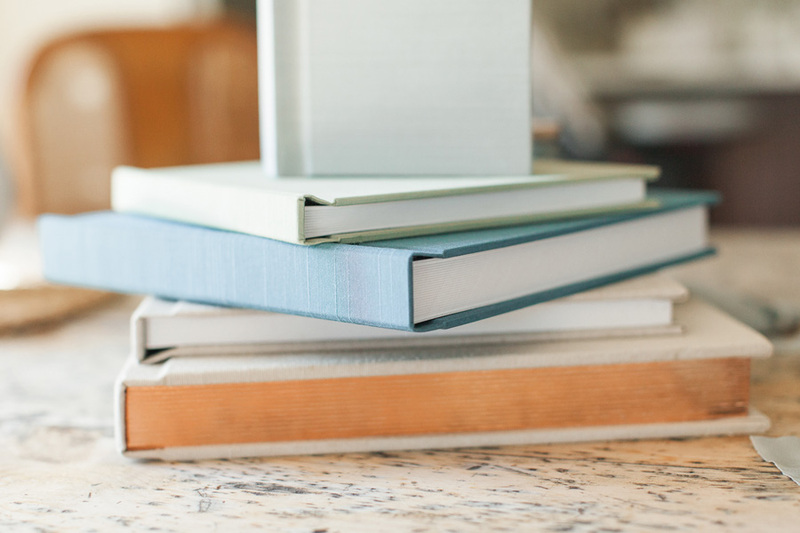 There are SO MANY printing and binding companies out there, how is a photographer to choose? This blog post offers practical advice to help you in your search. 5 - How Many Album Options Should I Give My Clients? This post is a must-read if you want to learn how to sell albums effectively. Plus, you get to see a before and after of my living room remodel! Trust me, it is totally relevant -- haha! Whatever you do, don't leave this step out of your sales approach. 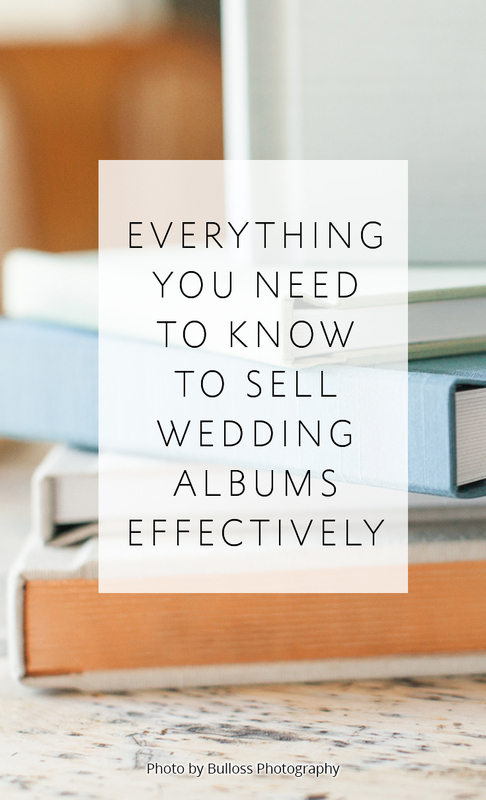 You can't sell high-priced wedding albums without it! Find out which features your sample album MUST HAVE in order to win the hearts of your clients so they say YES to their very own album. Not sure which wedding or portrait session to feature in your sample album? These are the top 5 elements to consider! Some photography studios should outsource their album design and some should do it in-house. Find out which is best for you! Of all things, a wedding album should be timeless. If you're doing your album design yourself, follow these eight tips to ensure that your products never go out of style. Shooting with the end product in mind is just plain smart! Make sure you are following these 10 tips while shooting so that you can end up with the most beautiful and impactful album designs for your clients. So many business owners have their approach all wrong. Are you using your time to GROW your business? Find out if you need to adjust your thinking in order to increase your bottom line. This is one of the biggest conundrums photographers face. This post makes the math super-simple and helps you ensure you are pricing your albums for profit! This step is key to ensuring that your client's expectations are managed AND that your designs aren't too cluttered. Find out how many average images per spread go into an ideal design. Is your workflow held up by waiting on clients to pick their images for their album? Solve this problem once and for all with this life-changing tweak to your workflow! When done right, picking images for an album design can be quick and easy! Follow these five tips for ultimate efficiency! Want to ensure that you have happy clients AND higher sales? Find out how I tweaked my workflow for better results! You should consider up-selling your albums. Find out why as I share about one client who really solidified my belief in the importance of up-selling once and for all! Have you heard about up-selling but feel like it sounds kind of shady? There's definitely a right and WRONG way to up-sell. Read this post to make sure you do it right. Looking for a way to cover your outsourcing costs and maximize your album profit? In this post I share the math on how to do so consistently! The revision process can be SUCH a headache! Can I get an amen? Read this post to make proofing super-simple on your clients and ensure a painless, smooth process for all! Read this post to find out what incentives and deadlines I give my clients when offering an album up-sell that help move them to action and close the sale. Are you waiting on your clients to finalize their albums for more than 6 months after the wedding? Implement this quick tip to put an end to a prolonged album process once and for all! Here's the low-down on parent albums -- what they are and why you should be offering them to your clients! Most parent album designs are duplicates of the main album. But when your client is asking for alterations to the original design for their parent albums what do you do? Here's a break down of the design/revision strategies successfully used here at Align to help photographers painlessly create multiple album designs for the same wedding...without anyone losing their minds! The album process is a marathon and the finish line is in sight! Make sure you are finishing well by efficiently placing the album order and packaging the final product for maximum impact! Having great photos of your albums is vital to being able to showcase them and SELL MORE. Learn how to photograph an album in a way that amplifies its beauty and showcases just how valuable it is! Creating a dedicated space on your website to showcase albums will help reinforce your passion for albums to potential clients and increase your sales. These are the 5 important things you should consider incorporating on your album webpage. Being a business owner is all about problem-solving. Problems are sure to arise, but the key is to figure out how to systematize a solution so that you never have to solve the same problem again. Read this post to find out how I've successfully applied this approach to album-related problems as well as other issues that have arisen within my business. If you're a photographer who wants to start offering albums without investing hours of guesswork and trial and error -- we have a solution for you! Check out the Album Start-Up Kit and start maximizing your profit today!